Do you ever get the feeling that you could be doing more to grow your business? Let's take a look at what the gift shop sector has to offer, reassess your growth prospects and offer a few tips for success along the way. Based on a recent market research report by IBISWorld, there's ample room in the Canadian marketplace for the local gift shop to grow, because it's not dominated by any one company. With an annual growth rate of 1.8% and revenues totaling $2bn across some 5,000 stores, gift shops are a relatively stable business model. This is no surprise, considering the fact that gift shops tend to be independent businesses with an average of 4 employees and limited floor space. Therefore, overhead and labour costs tend to be reasonable. In terms of revenue, you can't expect to make a fortune selling gifts. After all, this is a seasonal industry. The average revenue is roughly $300,000, and three fourths of businesses are profitable, according to Canadian Industry Statistics. IBISWorld also claim that souvenirs and novelty items account for nearly a third of this revenue. With prank toys, party lighting, and personalized items always taking turns to be this month's in-thing, it's no wonder that novelty items sell more than your luxury hampers and conventional anniversary gifts. Customers' expectations are changing. Before you can begin to speak to their needs, you need to ask yourself who your customer is. Is your base style-conscious, thrifty, traditional or open to new things? A large part of this behaviour may be influenced by social trends. Secondly, you need to look for patterns in shopping behaviour that are specific to your shop. Do your customers' expectations and needs shift based on a certain time of month (I.e. salary day), year, or even time of day (I.e. lunch break, weekend shopping spree or quick glance after-hours)? Then there's something bigger than both market trends and local shopping behaviour. Millennials and newer generations will make up most of your customer base in the years to come, and you need to adapt to their needs. Millennials are sometimes averse to pushy sales tactics, who don't like you pestering them with newsletters and cold calls, and who value their privacy. Generation Z and Alpha customers may have entirely new expectations for your shop. So, be mindful of the generation your customers are part of. If you want to be able to adapt to new trends, target the generation most likely to buy from you. Your name should be trendy, relatable and fun. It should say what you're about in as few words as possible. Your employees are the pillars of your company, and staff retention is especially important in this line of business. Regardless of their experience, employees need regular training and team-building activities to keep them motivated and to help them deliver the best service they can to your customers. 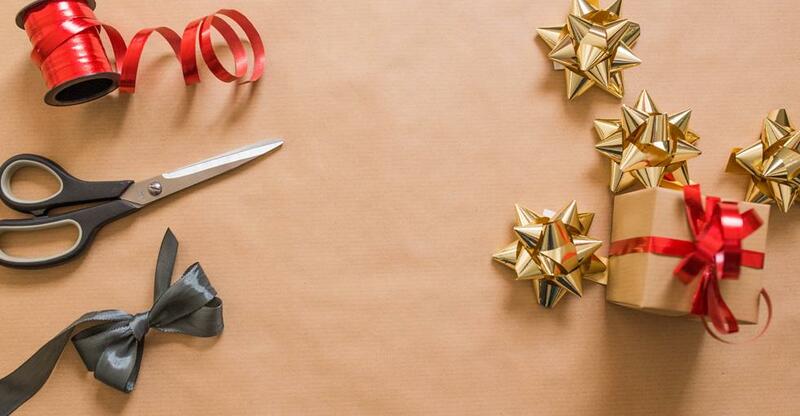 Be open to extensive training on things such as gift-wrapping techniques, their display and shelf decorating ideas, or even their own suggestions on new ways to interact with customers. In all likelihood, your customer base will be made up of various types of people, all of whom will appreciate being part of a loyalty program. Consider offering repeat customers a discount, offering freebies and event tickets, organizing raffles or throwing in an extra unit or two on large orders. If you cater to thrifty and creative people, then you should be bolstering their originality by stocking trendy, organic, colourful and/or cheap craft supplies they can use on their hand-made gifts. Take your local demographics into account, looking at age groups, marital status, minorities, employment figures and disposable income. Consider also travelling habits, popular travel destinations, and emerging trends in camping and hospitality. Then, of course, there's also the holiday season. According to Scott Hannah of the Credit Counselling Society, a reasonable Christmas spend is 1% of the buyer's yearly income. This would amount to $700, on average. In reality, many shoppers end up buying last-minute gifts, which takes them over their budget for three reasons: they have no time to buy in-store, they appreciate a quick delivery more than they do a discount, and they have no choice but to pay more for faster delivery. There's only so much you can do to grow or maintain profits if your footfall data is disappointing. If you're trying to grow and you've tried all of the above to no avail, then you may need to consider relocating. Few stores have the resources to expand and set up shop in new locations, especially since the element of customer loyalty is important in this field. But you're free to flex your muscle if you think you can tap into a new customer base elsewhere. There's no need to start from scratch if you have the resources to buy a ready-made business with its own customer base, and simply tweak the branding to incorporate your original vision. Bruce manages U.S. and international accounts for BusinessesForSale.com, the world’s largest online marketplace for buying and selling small and medium size businesses. Bruce has over 7 years’ experience working within the US business transfer marketplace connecting buyers and sellers.